Sixteen Stations of the Cross. 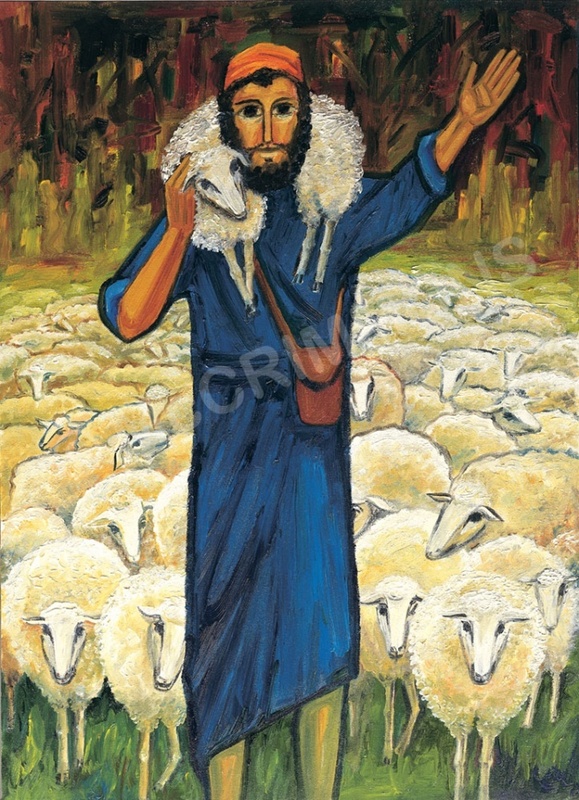 These inspired illustrations of Christ's journey to the Cross and beyond are presented to us through colour and symbol. Extremely rich in colour the images trace Christ's journey to the cross, form Peter's denial of his Master and Jesus's willing acceptance of his cross to the crucifixion and entombment, ending with the joy of the resurrection. They offer a vivid feeling of increasing darkness as Christ journeys towards the Cross and the fulfilment of his destiny. From the sombre, dark and beautiful presentation of the entombment we meet Christ risen in glory: darkness to light, sorrow to joy, despair to hope, death to resurrection. 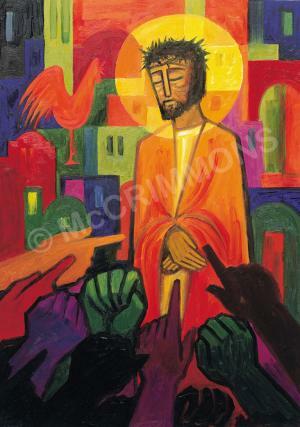 The image of the risen Lord in station 16 shatters the overwhelming feeling of darkness and doom with its vivacious display of colour, sympathetic with the immense joy of the resurrection. Christ is risen! A3L - Printed on gloss coated paper and encapsulated laminated.